Celebrate Fall with Color Tours and Perfect Pictures! When it comes to fall color, no state does it better than Michigan. There’s something very special about leaves as they change from green, to orange, red and yellow. The best part? No matter where you live in Michigan, you’ll never have to travel far to be amazed by the changing fall colors. What better way to explore these colors all over Michigan than through a color tour? Color tours throughout Michigan have become increasingly popular over the past few years. Whether you drive up M-25 to the thumb or head east on M-32 towards Thunder Bay, you’ll run into farmers markets, cider mills, wineries and local shops that dot the scenery. 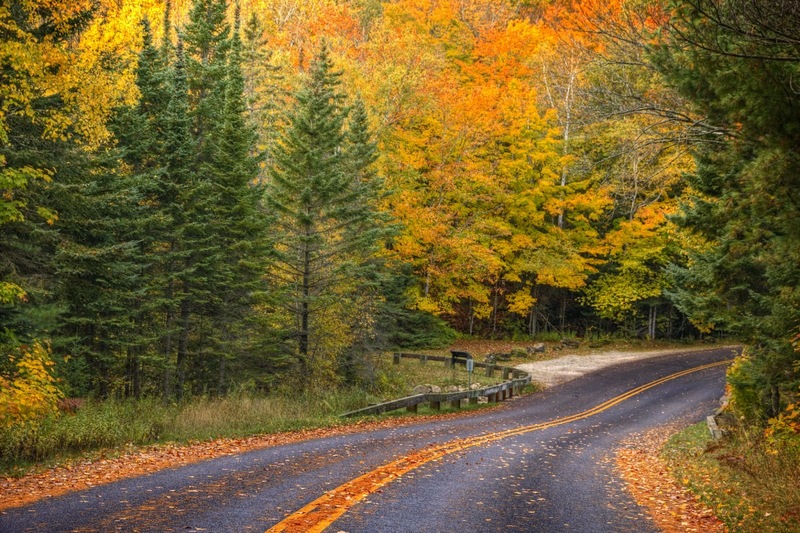 Visit www.michigan.org/fall-color-tours to find the perfect route for you! Your next gives you the perfect opportunity to take part in Community Financial’s newest social media campaign on Instagram! Now through November 15, we invite you to use #PicturePerfectMI on Instagram to share your pictures of Michigan with us. Post pictures that show us what you love most about Michigan. Your pictures can be of our lakes, woods, cities, skies or rivers! They can feature you, family or friends enjoying a football game, cider mill, color tour or anything else you enjoy in Michigan. Use #PicturePerfectMI and also tag us in your photo - @CommunityFinancial.PicturePerfectMI.com. Do you know what you’re Halloween plans are yet? There’s a bounty of local events and trick-or-treats happening around southeast and northern Michigan this year! With so many different events to choose from, it’ll be hard to pick your favorite this Halloween season. 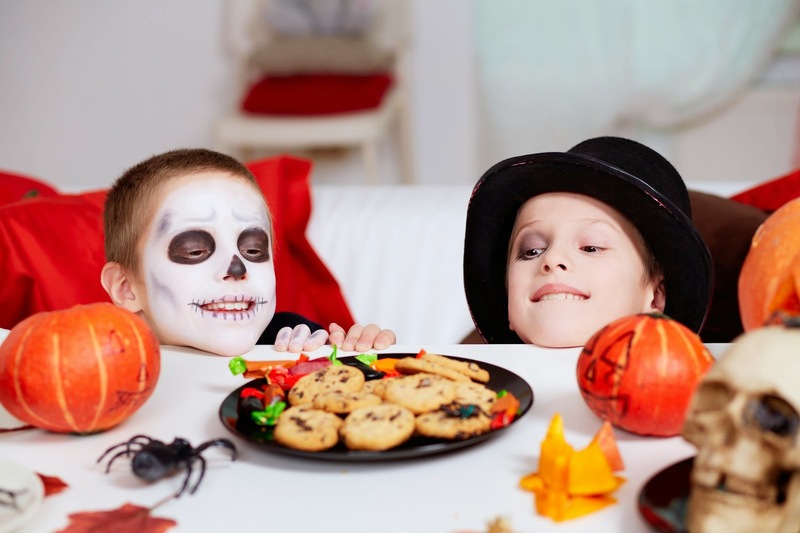 Downtown Gaylord businesses will host the annual Trick-or-Treat Downtown event on Friday, October 31 from 5:30 p.m. to 7:30 p.m. Every goblin, ghoul, witch and wizard is invited to wander through downtown Gaylord in search of treats! At Fleming Farms in Gaylord, enjoy all of your fall favorites! Like hay rides, pumpkin picking, corn mazes, farm animals and let’s not forget cider and donuts! Have a scream-filled time at Northern Michigan's most haunted of houses. Enjoy the haunted house, haunted hayrides, Detroit Style Coney Island hot dogs and movies on the big screen! Get ready to trunk or treat this year with the Lewiston Lawn Services! Wear your best costume and bring your candy caddy. Guide yourself through this family friendly, free drive and tomb your radio to WROT 106.3 FM. If you’re brave enough, step out of your car and walk the path! Now that it’s apple cider and doughnut season, there’s no better place to visit in Livonia than Wilson Barn! There’s more than just cider and donuts at Wilson Barn though, pick a pumpkin, take a pony or hayride and much more! Visit the Haunted Barn, too! Trick or treat from house-to-house in this village filled with homes built in the 1800s. Get ready to be spooked, but not scared on this tour though Greenmead! Register by Thursday, October 23 to save your spot. Head to Northville to catch this delightful Halloween tale! You’ll leave laughing after watching the story of Granny who lives in a haunted mansion with her four daughters. Kids can trick or treat around this historic village – and visit some not-so-spooky houses. Don't forget to wear a costume and bring a bag for goodies. Participants should register by October 18. Come enjoy the Summit all decked out for Halloween! At the parade, there will be over a dozen themed stations and two "path" options. Don’t miss the fun that will be had at Summit on the Park this Halloween season! Don’t miss your old school spooky favorites including Abbott and Costello Meet Dr. Jeckyll & Mr. Hyde, Ghostbusters, Young Frankenstein and Abbott and Costello Meet the Invisible Man! The Detroit Zoo’s annual merry, not scary, Zoo Boo celebration is a festive event you won’t want to miss. Check out the Ghouly Games Tent, the Haunted Reptile House, the Zombie Zone and the Wild Adventure 4-D Theater while you’re at Zoo Boo! You’ll feel like you’re walking through a magical pumpkin field with more than 1,000 carved jack-o'-lanterns that light up the grounds of Greenfield Village. Hallowe’en at Greenfield Village is an annual, old-fashioned, silly and spooky celebration. Happy Halloween from everyone at Community Financial! Let us know what your favorite Halloween activities and events are in the comments section below! Now that fall is officially here, we asked our team members what they love most about fall. Gwen Porritt, an MSR in our Atlanta branch, was happy to share her story. To quote a line from Kid Rock's song All Summer Long, "Now nothing seems as strange as when the leaves began to change, or how we thought those days would never end." Summertime in northern Michigan is a short-lived season. But when it ends, Mother Nature puts on quite a show in the form of the season we call autumn. 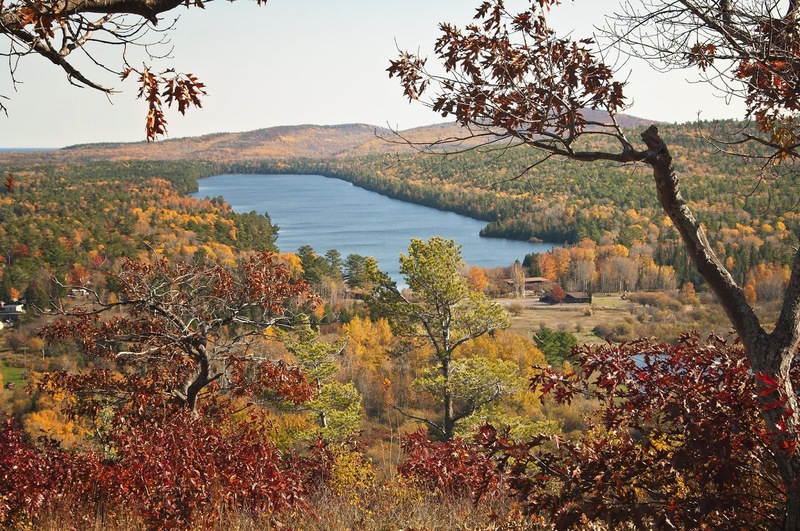 Now, anyone who has ever spent time in Northern Michigan during color season knows what a splendor it can be – by the way we call these people “Leaf Peepers” up north! One of my favorite things to do when I lived in Lapeer was to go to Past Tense Country Store and Cider Mill and look at their awesome fall displays and haunted house. If you ever decide to go, they are located on Farnsworth Road in Lapeer. It's a great family-owned business with homemade doughnuts and fresh pressed cider. They feature Cooks Farm Dairy ice cream from Ortonville, hay rides, a great corn maze and they make their own homemade pies. What a yummy place to visit. If you decide to stop by, please tell Lucy and Mark that Gwen says hello! One of Northern Michigan's "hidden treasures" is the Tunnel of Trees. I've yet to check this out because it's so hidden (just kidding!) but I have heard it is very beautiful. People say that it is located on a road that runs along Lake Michigan and Little Traverse Bay in Petoskey called M-119. This highway lacks a centerline and is known for its scenic beauty and heritage. When I check it out I'll be sure to give you all an update! Another great thing about fall is the food! What is better during the fall than a bowl of chili? When the weather starts getting cool I get out the big stock pot and start dumping in the necessary ingredients. I cook like my mom did – no measuring. I like my chili thick, so over the years I experimented with several ingredients and found good old fashioned tomato paste works best. One can for a smaller pot and two for the bigger pot. My advice - make sure you stir it in really well or someone will get a mouthful of tomato paste, and they won't be very happy with you. My other go to chili ingredient is a kick of cayenne pepper to spice things up a bit. I also like to make pumpkin rolls in the fall. Although pumpkin rolls are not the best for you, they are delicious and provide comfort to the soul. We all need some of that up here in the Great White North when winter rolls around, but that's a subject for another blog. My favorite fall memory is going to Cross Roads Village in Flint with my family in the 90’s. We all had those little orange plastic pumpkins and went to each of the buildings in the village begging for candy. I heard my dad chuckling, and I look over and he was practically cracking up. “What's so funny Dad?" I asked. He said to me "Gwen, I haven't trick or treated in over 50 years!" Although my dad's been gone for over a year now, I will always have that awesome gift of seeing him laughing and carrying an orange plastic pumpkin filled with candy. Take a good look around you, look at all the blessings in your life. There are so many things to be grateful for. Fall is one of those things for me! As the saying goes, autumn is a second spring, when every leaf turns into a flower.